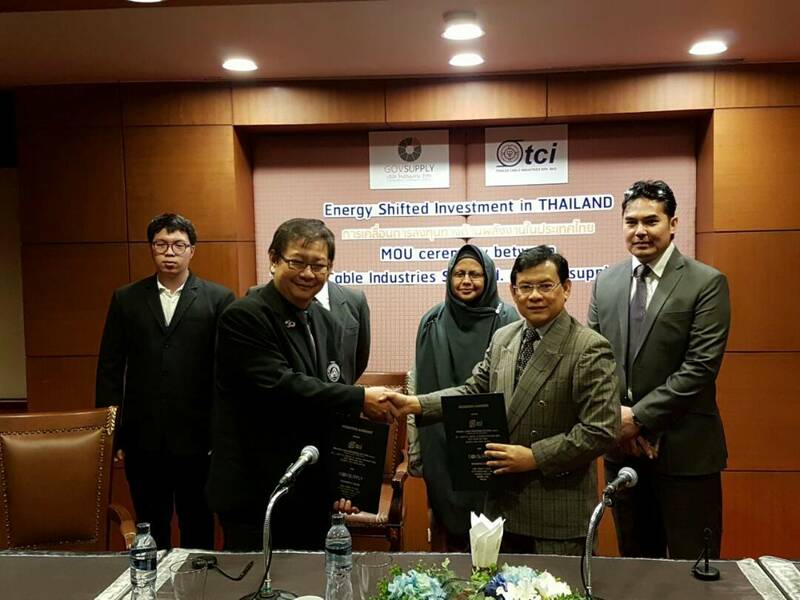 BANGKOK: Tenaga Nasional Bhd’s unit Tenaga Cable Industries Sdn Bhd (TCI) has inked a memorandum of understanding (MoU) with Thailand-based GOV Supply Ltd to explore business opportunities in Thailand and Indochinese countries. The MoU would also enable TCI to venture into new markets in the South-East Asian region. “With almost 60 years experiences as one of the leading power cable manufacturer and cable-related solutions in Malaysia, TCI is poised to venture overseas. “As such, we are engaging reputable partners in order to manage risks and related business, as well as market challenges,” TCI managing director Amir Mahmod Abdullah told Bernama after the MoU signing ceremony in Bangkok recently. The signing ceremony was witnessed by Malaysian ambassador to Thailand Datuk Nazirah Hussain and Malaysia External Trade Development Corp assistant trade commissioner in Thailand, Nor Azman Adam. Amir Mahmod said the synergistic arrangement would enable TCI to leverage GOV’s network, relationship and experience, as it geared up to explore business opportunities in Thailand, Myanmar and other Indochinese countries.